Kiko Casilla is positive about joining Leeds United as he sees a switch to the Yorkshire giants as a great chance to secure regular first team football. Leeds are looking to bring in a goalkeeper this month and have zeroed in on Real Madrid's third choice custodian. The Whites are in advanced talks to land Casilla and are aiming to get the 32-year-old in through the door at Elland Road. 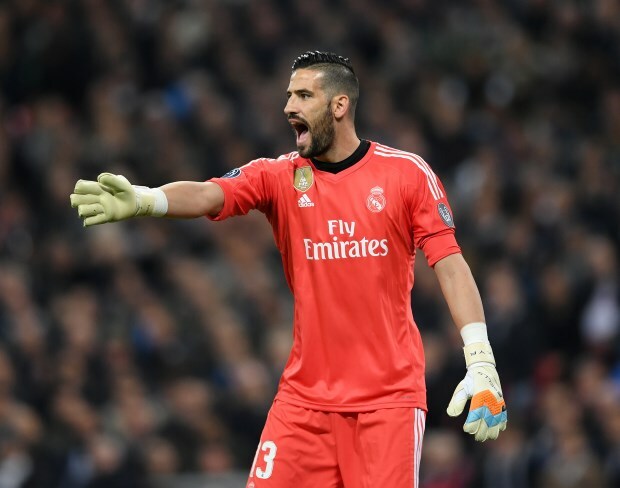 And Casilla, who has made 43 appearances for Real Madrid since signing in 2015, is positive about the move, according to Madrid-based daily Marca. The shot-stopper, who has not played for Real Madrid this season, sees the chance of regular first team football if he joins Leeds. He would be expected to displace youngster Bailey Peacock-Farrell as Leeds' number 1, with the Whites closing in on promotion to the Premier League. Marcelo Bielsa has Leeds sitting top of the Championship table and looking in good shape to secure top flight football for next season. Casilla started his career in the youth ranks at Real Madrid before then moving away to make his mark at senior level.